The idea of universal basic income has most Newark residents jumping for joy while some on the outside looking in are clutching their pearls. Newark, NJ- The idea of universal basic income has most Newark residents jumping for joy while others who are outside observers of the city are clutching their pearls. 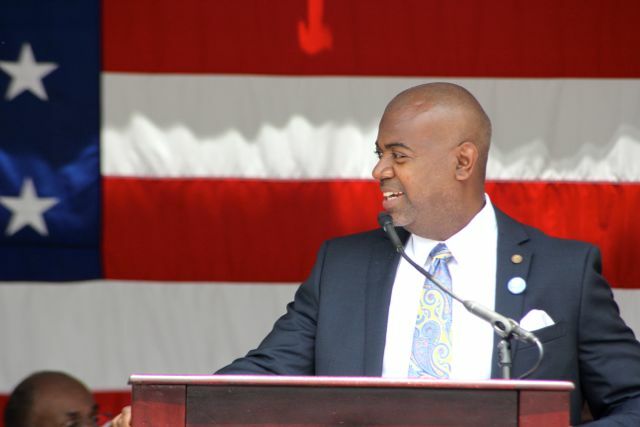 Newark Mayor Ras J. Baraka revealed in his ‘State of the City‘ speech last week that Newark will be testing out a pilot program of this idea. It is currently in its’ infancy stages and they’re still developing the idea and how everything will possibly be structured. Media outlets are reporting on the story in a various ways, many right winged conservatives seem to be totally against the idea. I mean why would anyone want us all to be treated financially equal anyways right? If you can’t tell by now I’m all for this idea especially when living in a region of the country where taxes are high, rent is astronomical and your basic necessities can sometimes feel like they cost a fortune. If you’re not aware of how it works here’s how it goes: With universal basic income everyone is entitled to a check from the government whether they work or not. If you are employed you’d receive an extra $1,000 a month plus your usual earnings. For those who are unemployed they’d receive the same $1,000 a month as well. Everyone gets a basic income no matter what. Many believe this can help to offset homelessness, unemployment, and possibly eradicate poverty altogether. Others who are on the con side think that this will encourage people to not seek employment if they are receiving ‘free money’, and that inflation could be triggered. What are your thoughts is the possibility of Universal Basic Income ? Could this be a good thing for Newark? Take our poll below! Will Universal Basic Income be a Good thing for Newark?